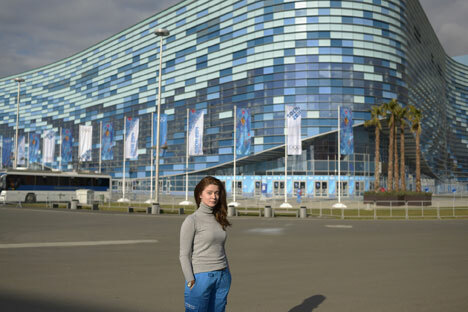 Like any global-scale event, the Sochi Olympics are not devoid of some problems and glitches. But you get used to them and start to accept them as an inevitable part of your reality. What is surprising is that our foreign guests seem to feel the same. In the first several days, everybody was making fun of various mishaps at hotels or at how buses were "sealed" after a security check so that no one could get on or off them until the seal was broken at the end of the route. But now that everyone has gotten used to these peculiarities, things are different. There is a strange feeling of unity, of being in the same boat, when at 3:30 am you are stuck on a bus stop with a crowd of foreign journalists because the previous bus left five minutes ago and the next one will come only in an hour. It does not feel like we are two opposing sides over the barricade – representatives of the organizers and those who have come to report about our work and all our shortcomings – we are just a bunch of very tired people who are dying to get to bed as soon as possible. This common goal creates room for teamwork: shared jokes that make it easier to pass the time, a joint assault on the transport headquarters to get a bus ahead of schedule – every little bit of help counts. For example, one photographer took out his maximum zoom lens, stood close to the road and used it as a telescope to be the first to bring the good news of an approaching bus to the crowd at the stop. In moments like these, you realize that all the talk of friendship and unity as Olympic values are not empty words. Even the language barrier is not such a major problem. Of course, Russians are not known for their good command of English, so it is not surprising that foreign visitors scare each other with tales of being in a Russian village where no one speaks English. Staff and volunteers who are not very good at foreign languages have their own method of communicating with foreigners. For some reason, they are convinced that if they repeat what they say very clearly and slowly, and very loudly, with expressive gestures, though still in Russian, they will be understood. I have often seen fellow volunteers trying to explain to a Norwegian or a Swede that av-to-bus no-mer de-syat' (Bus #10) bu-det (will be here) che-rez pyat’ minut (in 5 minutes) by showing 10 fingers, pointing to the floor, then pointing to a watch and showing five fingers. In most cases, this system of made-up sign language works, although from the outside it looks more like a verbal assault. These are the miracles of linguistics.